Kimio Maki is Deputy President of Sony Mobile Communications Inc. since July 1, 2018. Kimio Maki serves as Senior Vice President, President of Digital Imaging Group. 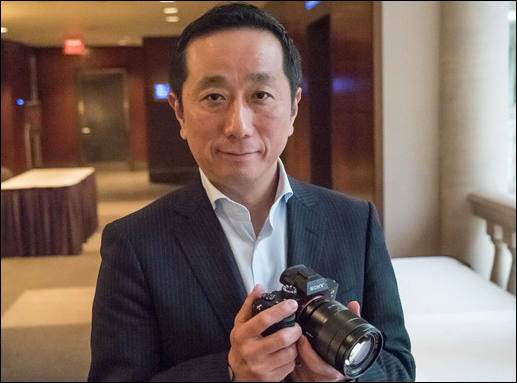 Man behind Alpha mirrorless line success is busy all days now trying to save tanking smartphones department. He already cut some original things, like one of the last lines of compact phones. No one actually expects anything good from Sony on mobile market as company do not have good enough software team. But this move also can explain some strange things happening with Sony, like lack of new cameras and constant postponing of upcoming models. It seems like machine does not function well without captain being on the deck full time.